Cullen Transport offer a complete package – Haulage and Vehicle Maintenance - to suit the needs of all our customers. We can deliver any load in Ireland and the UK and cater for all types of maintenance on vehicles - from cars to light / heavy commercials and trailers. 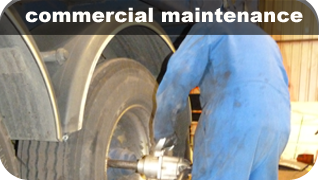 On site, out of hours, whatever it takes to ensure minimal downtime let Cullen Transport take care of your vehicle maintenance. Planning should be proactive by design to prevent breakdowns rather than react to them when they happen. Our workshop is open longer hours to suit your business needs. 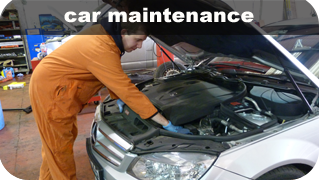 We offer all makes of diagnostics and repair, for vans, trucks, cars and trailers. Immediate access to all motorway routes and many shipping routes enabling delivery of goods as soon as they arrive in Ireland. Easy access for customers to our centrally located workshop. 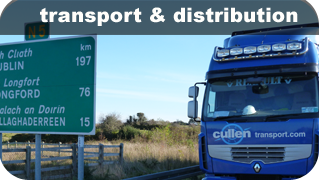 Cullen Transport is a company dedicated to service in a very demanding industry. With our team we have achieved steady growth year on year and to remain successful we strive to continually develop new, innovative and more competitive ways of satisfying our customer's requirements. By providing a good, fast, dependable service Cullen Transport has forged an excellent reputation for itself, benefitting from a large percentage of repeat business and regular referrals for our haulage and vehicle maintenance business. With the huge push on safety from DVA Cullen Transport are helping hauliers fulfil the O Licence Reg requirements and ensuring that our customer’s vehicles and trailers are properly maintained and safe to be on the roads. We can collect vehicles, make bookings for MOT test, service/repair vehicles, present vehicle to test and return to customer. This tailored package is available for all vehicles – no matter what we have you covered.